SONG : Don't Break My Heart (Cover). Ethiopia's Henok Mehari with a cover of Cynthia Morgan's hit track on Coke Studio Africa Season 4 .
" 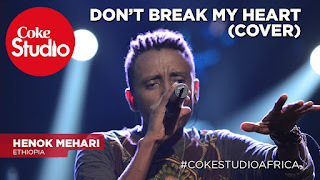 Henok Mehari: Don't Break My Heart- Audio"